Here's another Christmas card for you using a sweet image from Sparkle and Sprinkle. They are our sponsor this week and I just love them. In addition to black and white images, they also have precolored ones. How cool is that? They are offering a great prize too - $15 in digis!!! 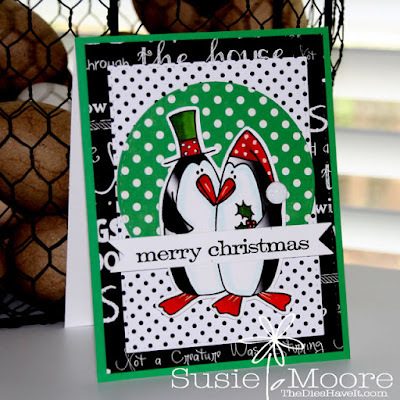 At Christmas Stampin' All Year Long we deliver a twice monthly challenge to you and if you play along, you will have plenty of cards completed when December rolls around again. This particular challenge is to use lots of layers. I adore cards with tons of layers. And I love putting them together too. You should play along too and you can link up your creation at the Christmas Stampin' All Year Long blog. You have until midnight October 13, 2015 to link up. Have fun and I'll see you over at the blog.